I don't even know where to start, so I'll just give you the facts. 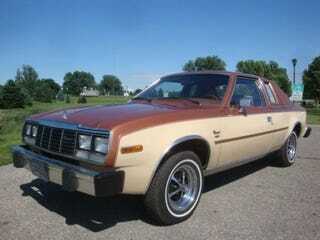 This is an extremely brown AMC Concord coupe. The seller wants close to$19,000 for it. He want this because it has only 1,650 original miles. As much as I love these sort of new-used cars, I still think even a museum would laugh a little at that price. But what do you think?